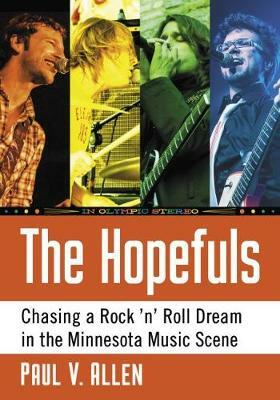 For the first decade of the 2000s it was nearly impossible to find an artist in the renowned Minneapolis-Saint Paul music scene that wasn't connected to Erik Appelwick, Eric Fawcett, John Hermanson, and/or Darren Jackson. As songwriters, performers, and producers, they formed the core of a musical collective that spanned genres - folk, power pop, R & B, electro-funk, and indie rock-and included the beloved bands Storyhill, Spymob, Alva Star, Kid Dakota, Vicious Vicious, Tapes 'n Tapes, and Olympic Hopefuls. Their thoughtful songwriting, well-crafted albums, and exciting live performances brought them to the precipice of achieving their rock 'n roll dreams. This shared biography-drawn from over thirty new interviews and hundreds of articles-documents the intersecting musical journeys of these four remarkable talents. It traces their paths as they converge and diverge, from playing air guitar to KISS records to rocking gyms in high school cover bands to touring the world and sharing stages with some of pop music's biggest names. Equal parts celebration and cautionary tale, here is an intimate chronicle of the rewards and pitfalls of life as an independent musician. Paul V. Allen is an early literacy specialist. He lives in Normal, Illinois.